Some of you might be keeping away from installing custom ROMs because of the fear of loosing all your programs and data settings.. 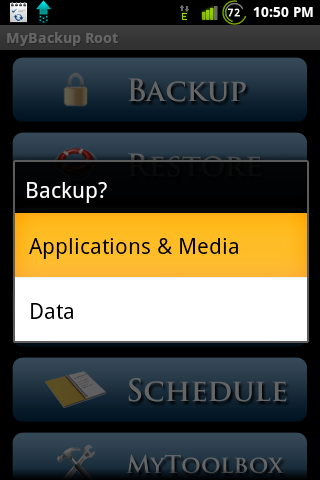 Here i’ll guide you through the process of backing up and restoring all your data and programs easily onto a new ROM. You’ll need ROOT acces first. 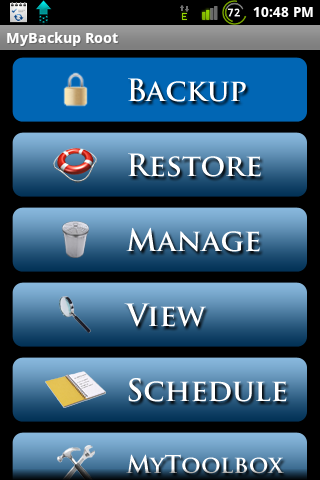 Advantage of titanium backup is that it can zip your backups and is faster. After the job is finished you can flash your new ROM.And when you are back in the new ROM again install titanium backup and then choose Backup/Restore. 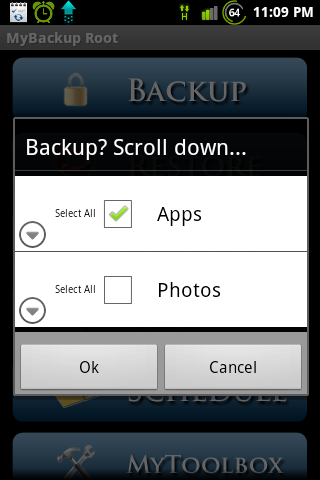 Install Rerware My BackUP free version from market.. Tick only “Apps”. No need of photos.and then click OK. Proceed with backup as you did for data previously. 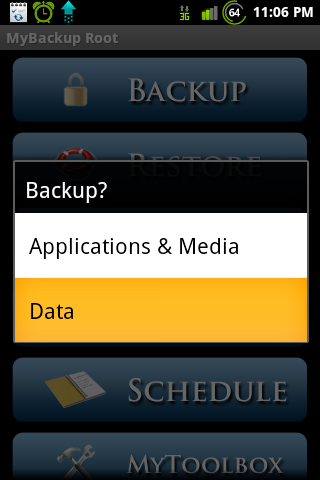 To RESTORE All those simply get into Mybackup from your new ROM and then choose RESTORE, Choose DATA, then again choose Applications & Media,Select APKs+DATA.. Entry filed under: Android, Galaxy ace, Uncategorized. Tags: back up your data on android before installing a new rom, Migrating to a new ROM, things to do before Migrating to a new ROM. What is ClockWorkMod and what will i get if i install it..